The Amazon Echo is an amazing smart speaker and for some of us it just got a whole lot better! I for one love to say “Alexa, what the weather like today?, Alexa, turn on the light” or “Alexa, call John Smith.” But for those who are Deaf and those who have a speech impediment using the Amazon Echo isn’t that simple because of its reliance on a spoken keyword for activation. 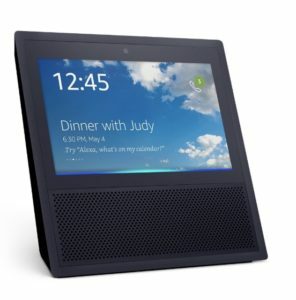 Amazon recently added a game-changing accessibility feature to the Echo Show, Amazon’s 7-inch touch screen smart speaker, called “Tap to Alexa”. “Tap to Alexa” lets users set up touch-based shortcuts on the Echo Show’s home screen for popular commands like weather, timers, tasks, and traffic eliminating the need for a spoken keyword. This feature also extends to Alexa Routines that allows Alexa to complete multiple tasks with single command. To enable this feature, head to device settings and select the accessibility settings menu. Toggle the Tap to Alexa feature to view a menu of preset options or a text field for custom options. Amazon has said this new feature will improve over time and they are working on expanding the feature to it’s smaller touch device, the Echo Spot.